Never buy an email list: Never means never! Home » Never buy an email list: Never means never! In a survey by Adestra and Ascend2 (Email Marketing Strategy Survey 3/19), 51% of marketers say enriching contact data quality is their most significant barrier to achieving email marketing success. This illustrates the difficulty in creating a strong and valuable email list, that contains enough data to make the emails personalized and engaging. Often it takes months and a year to build an email list for your business. In the complex world of email marketing, you might be tempted to take a shortcut and buy an email list. Now here is the obvious question I get asked all the time: What is the harm? Shortcuts are normal human nature. Right? Most are harmless, but in this case, buying an email list could cause disastrous consequences for you and your business. First, buying an email list may be against the law, depending on your location. Well, not exactly, but using it might be. In today’s highly competitive marketing landscape, it might seem like a smart move to buy an email list. It isn’t. Even on the “free” internet, there are rules, guidelines and consumer protections guiding marketers on email. All over the world, there are laws and regulations protecting user inboxes. We have CAN-SPAM in the USA, CASL in Canada and GDPR in Europe (updated 8/18). These laws and regulations protect consumers by requiring that the marketer obtain permission in some form before sending emails to an individual. 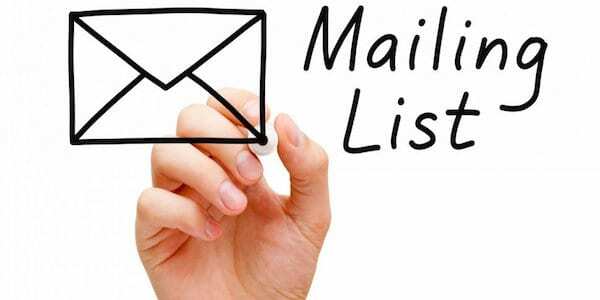 With purchased email lists, you have not obtained permission from the owner of the email address. When a vendor tells you that it is an opt-in list, they mean that the user is opted in to the owner of the list. This is considered spam and it is unsolicited. The laws are clear about spam and do not take it lightly. For example, CASL provides for hefty fines for violations, up to $10 million! Just for the legal reasons alone, it’s best not to use email lists, but read on! This one is obvious. No serious marketer will sell or rent out a great email list that performs. All great email marketers know that in marketing, trust is key to consumer loyalty. They will never sell their customer contacts, especially without consent. They understand the value and will want to keep these valuable leads to themselves. If you come across email lists that are available based on demographics or other promises of targeting, be especially wary. The lists that these users are opted in for have been sold many times. It’s not reasonable to expect any good customers from these email addresses. In many cases, the list provider will send an email out for you to their list with a “negative opt-in”, meaning that anyone that does not opt-out is considered opted-in to your list. They will hand over those email addresses to you. This is not considered to be true permission by GDPR and CASL. Other times, the list provider will send an email out on your behalf requesting opt-in to your list. The legality of this method is dependent on how the email is sent. But you should consider that if the email is branded from you, it could still generate bad will against you – even though you are not technically sending the email. It will still be viewed as spam by the user. Don’t forget there are real people on the other end of those emails! With all the risk outlined in #1 and #2, this is a no-brainer. When you send emails to addresses on a purchased list, there is too much risk. As an email marketer, you should understand that your reputation as an email sender depends on how people interact with your emails. If recipients flag your email as spam or complain to their ISP, then your ISP and even email service provider (ESP) will have to take action. If the bounce rates are too high and click-through rates of your emails drop significantly, then your reputation as an email sender will drop. No reputable email delivery/marketing service will work with you. At Pepipost, we have made it a policy to weed out spam email senders. If your account has been flagged as a spam account, then you will be blocked from sending email. Other platforms have a very similar stance towards using purchased email lists on their platform. In fact, check your contracts. Many ESPs have written language into their contracts that expressly forbid you to send email to purchased lists, and/or email addresses that have not opted in to your list directly. Even the list providers themselves are having a hard time these days getting email delivered, so they may ask you to email the list out for them. Don’t do it. It is a lose-lose situation on all fronts. One reason why the major email service providers including Pepipost are in business is due to the high delivery rates we guarantee. As a user of a purchased email address, the level to which your emails are delivered is based on a delivery score that takes a long time to shape. There might be people who will claim to have the knowledge on how to keep your reputation from dropping using purchased lists. However, it is better safe than sorry. Do not let the desire to take shortcuts cost you future opportunities to genuinely interact with your clients and expand your business. Once you have been blacklisted, it is difficult if not impossible to engage prospects and customers in meaningful engagement. This is because your emails are no longer delivered to their inboxes. In a system where deliverability is everything, it can be a great blow to your business if you lose this. People hate being ambushed in their emails. It’s easy to hit the delete button and never think twice about that marketer who keeps bugging you. This freedom is a joy. Prospects and customers have total control of their email space and many consider it their internet sanctuary. No marketer is allowed the right to be intrusive unless they have earned it (or at least obtained permission to be intrusive). If users do not remember signing up for your newsletters or promotions, they will not welcome or be open to your offers. When you email users that you have purchased, you are basically sending them information they did not ask for and this is usually met with resentment. It’s a very good way to lose customers before you have earned them. If everything here has not dissuaded you, then you should “do the math”. When purchasing from a list, it’s likely those email addresses will be the most expensive leads you have ever purchased. Here is one example: you must factor in the total number of emails sent, the % that will actually be delivered (which will be much lower than your usual delivery rate due to probable bad data), the % that will land in the user’s spam boxes due to filters, and a much lower than average open rate (think less than 3%), and then the clickthrough rate to your landing page. Then factor in all the risks above – and it can’t possibly be worth it. One thing about digital marketing has always been true. What worked yesterday may not work tomorrow, and we all must adapt to new approaches. So, if it is a bad idea to buy email lists, what are your options? Figure out in advance how much data you want to collect, and what you could collect over time. This is called Progressive Profiling. You may want to start with bare minimum information, such as an email address and a name, to increase your conversion rate. Then send your customer surveys or drive them to a preference center to get more information about them. One of the keys to having people sign up for your mailing list is giving them great content. Many people do not mind giving you their email if they are getting something in return for it. You can then make this content gated, to allow you to ask for their emails if they would like access to some of your more advanced tools and resources. As stated earlier, many people prefer buying from marketers they are familiar with. Using your knowledge of your target market, you can come up with clever ways of making them signup. For example, you could organize a contest that requires them to sign up and complete a series of tasks to win a prize you have on offer. Social media is a great opportunity for businesses to reach out to prospects. Engage prospects on shared topics of interests and talk to them about how your business could help solve a pressing need they are facing. You should be direct and create awareness about your emailing lists while encouraging prospects to join in through posts or Facebook tabs for email collection. Video content is one of the most popular forms of content marketing out there. An entire generation is growing up that use video exclusively to find out what they need to know. Infographics and other visual content are not too far behind. Get your message out in ways that your audience can interact with them and be sure to track it. Be smart and creative. In the B2B space, customers are always curious to see what their favorite content creators are up to. Using webinars, you could involve people in the entire process. You could help them better understand how your business works. This is bound to deepen their appreciation of your art (or science) and then you can encourage to sign up for your email list to keep up with more of your content. Your website is the most obvious place to include an email opt-in, but don’t hide it at the bottom of the page! Put it right at the top! Consider using pop-ups with a tempting offer, to collect their email address on the spot. Don’t just put it on the home page; think about where users are going on your site and leverage those pages accordingly. If you have a point of sale system, you may look at systems that allow the customer to opt-in at the counter while checking out. And don’t forget your mobile apps and even SMS driven acquisition, by asking for email addresses and permission to email to SMS subscribers. Just be sure that you follow rules and regulations such as GDPR, CASL and CAN-SPAM. No pre-checked boxes and clear notifications on the content you will deliver. We don’t see this mentioned very often, but it is one of the greatest ways to gain some subscribers. People tend to trust a face and name more than they do any well-designed website. If you can get friends to recommend your website, you stand a good chance of being able to add to your existing number of subscribers. Buying an email list may be tempting and it might look profitable. However, the long-term dangers outweigh the short-term benefits. We hope that you understand this repercussion and take our advice when we say you should never buy an email list, ever. What is Email Validation and how does it help you?